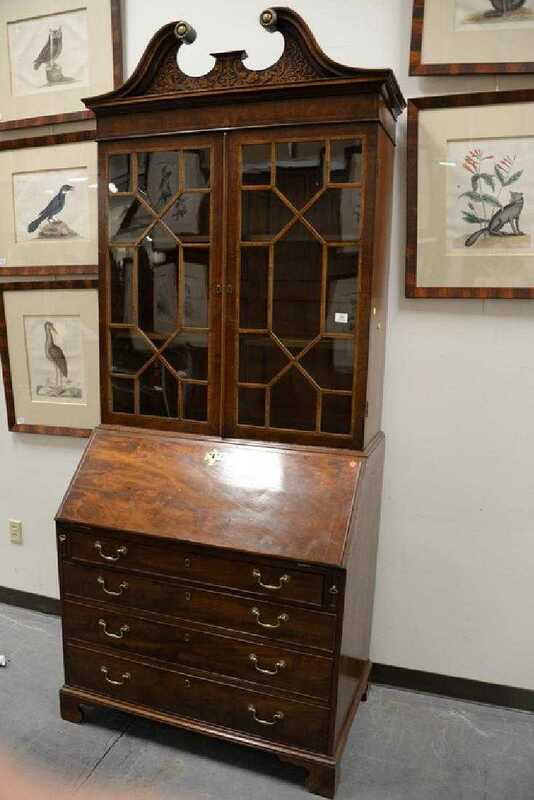 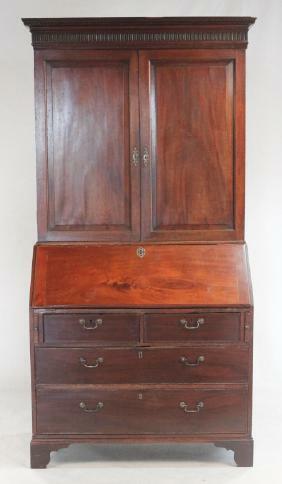 S22 English mahogany secretary bookcase in 3 parts, C. 1760-1790. 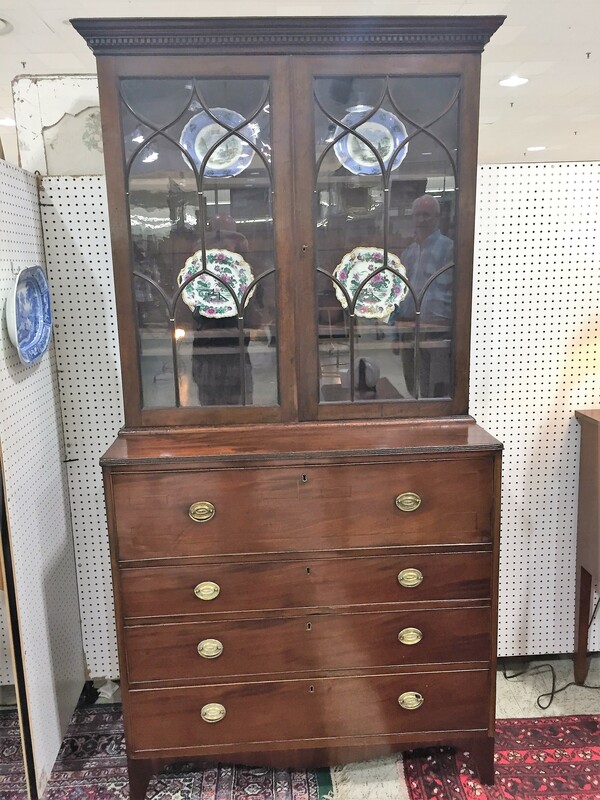 Original large bracket feet, period brasses, adjustable shelves, tall and stately. 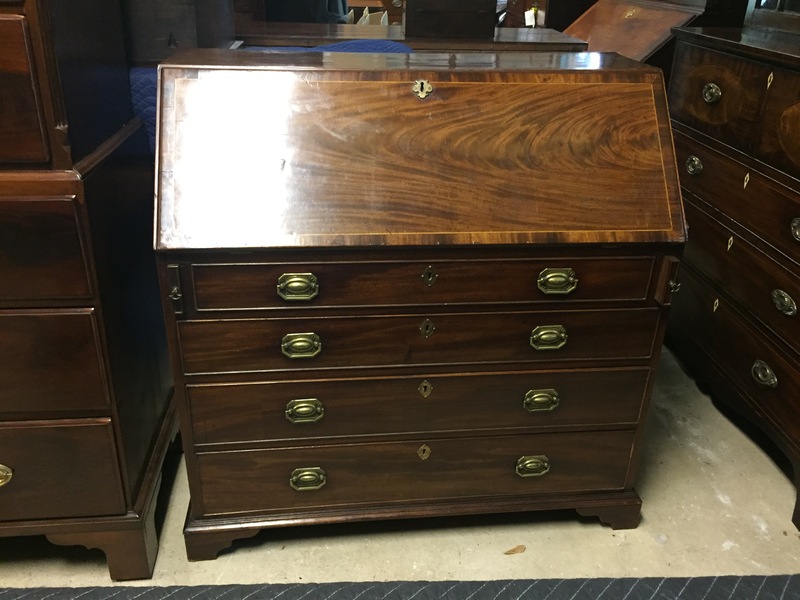 Outstanding color and finish, drawers are oak lined and work well.